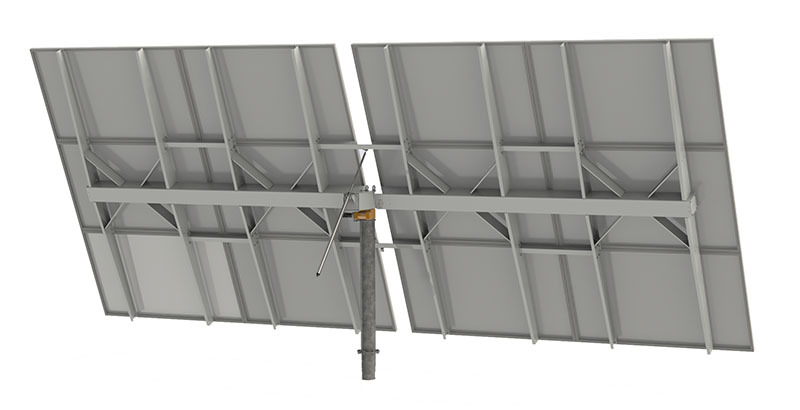 PVAST 196 is a fully integrated 19,6 m2 aperture photovoltaic tracker, including 12 REC 265PE modules, with a total of 3,18 kWp of power. It is designed to be assembled at decentralized facilities. Once mounted it can be shipped to the field and installed as a single unit and it arrives at its destination ready for use. 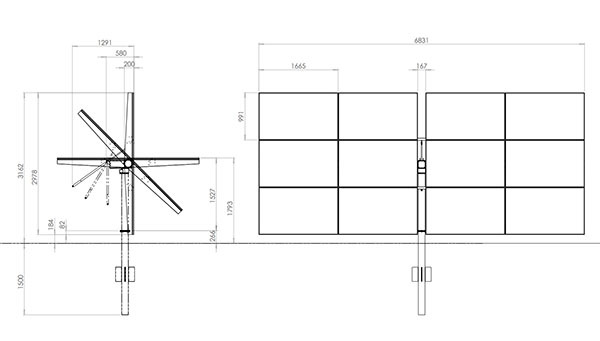 With this single production process you can optimize logistics and minimize installation and commissioning costs.